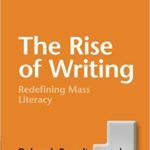 "Brandt offers writing scholars, teachers of writing, and WAC program administrators, and consultants a way to understand writing as broadly as possible as it changes in practice and evolves in theory. Writing in the workplace, and everywhere else, happens in broad contexts and has vast social implications." 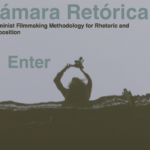 "Hidalgo’s unique video book addresses feminist filmmaking professionals and students of rhetoric and composition as she argues that moving images made by rhetoricians are teachable, publishable, and tenure-worthy projects."